A standard-sized platform, open at two (or four) sides on which goods may be stacked. The open ends allow the entry of the forks of a lifting truck so that the palletized load can be raised and moved about easily. Having top & bottom boards separated by centre boards going in the opposite direction called stringers. 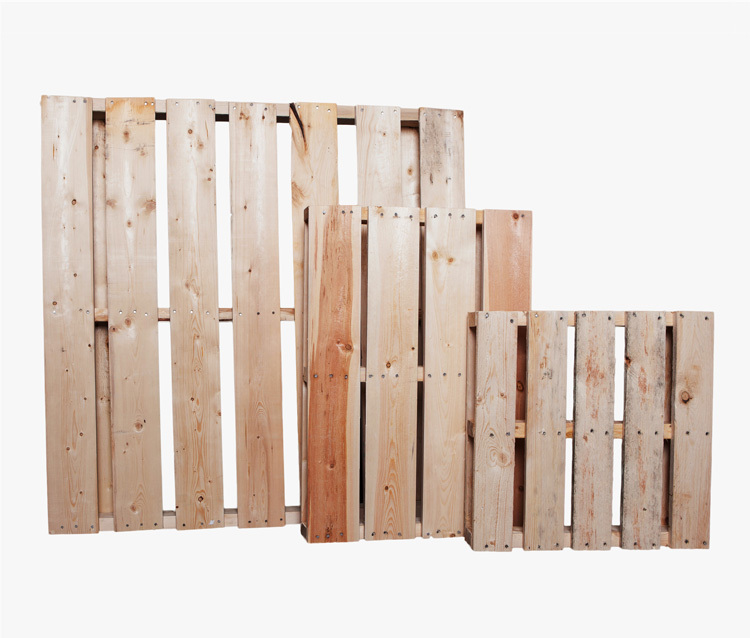 A Skid (similar to a pallet) is utilized in the same way as a pallet, it has top boards and stringers but no bottom boards. Each pallet and skid we manufacture is designed to the specifications provided by each customer.